Endurance Fitness is a 24 hour fitness center with state of the art fitness equipment, group fitness classes and personal training. We offer free childcare during available hours for ages 6 weeks and up. Insurance reimbursement is available with qualifying insurance plans. Please stop in at the front desk and ask about discounts offered for military personal, firefighters and law enforcement. Please bring a photo I.D when signing up for a new membership. There are no joining fees when purchasing a membership. There is a one time $10 key fob fee that will allow 24 hour access to the gym. Daily pass may be purchased for $10.00 during staffed business hours. 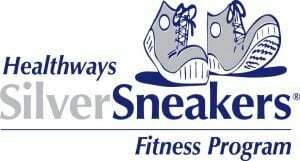 *Class punch cards are available for purchase and can be used during group fitness classes. Class Cards can be purchased for $60 for 10 classes (expires 6 months after the date of purchase) or $100 for 20 classes (expires 1 year after the date of purchase). Class cards can be split between 2 attendees who are both present at time of purchase. **Family Memberships include 2 adults and all children living at home up to 18 years of age. Each adult child, ages 19-25, living at home (with proof of address) or in college will be allowed on the membership for a $20/month add-on fee. Guests and Members under the age of 18 MUST HAVE a parent or legal guardian present to sign waiver. Endurance Fitness participates in many insurance reimbursement plans including: Healthpartners, Humana (Go 365), BCBS, Preferred One, UCare and United Healthcare. 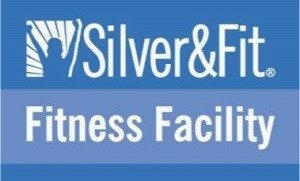 Endurance Fitness is also a Silver & Fit Facility.